Sure, it's just egg. Who cares. Crack 'er in a skillet, let it fry. Why bother caring? It's not like there are better options out there—oh wait, your entire goddamn life just changed. 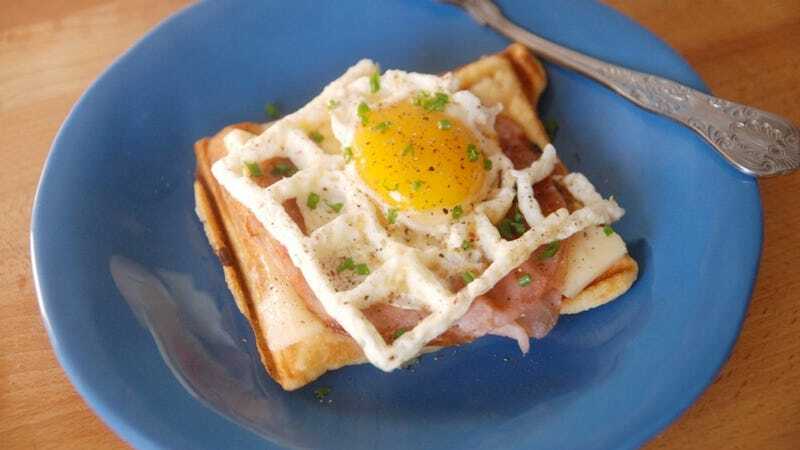 Waffle iron eggs. Yeah.